Stéphanie Van Zwam – Interview — ligature — Switzerland-based online publication for design, culture and visual creation. 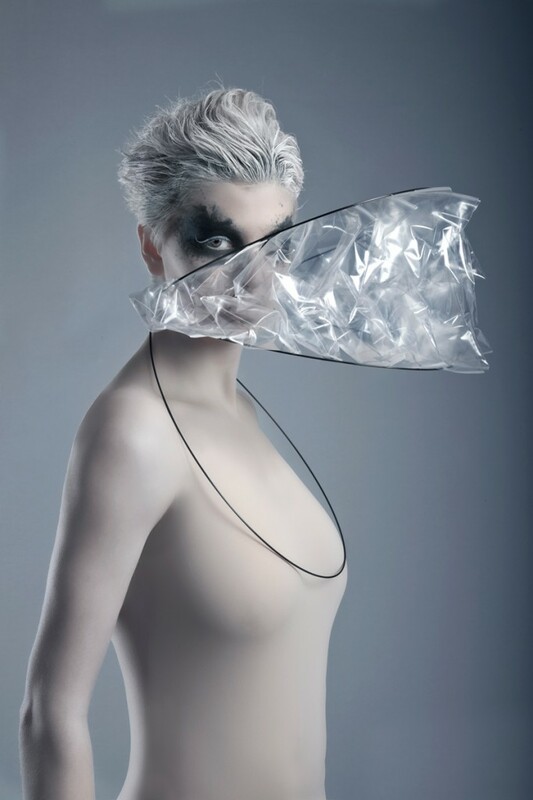 Stéphanie Van Zwam is a Jewellery Designer graduated from Central Saint Martins – London. 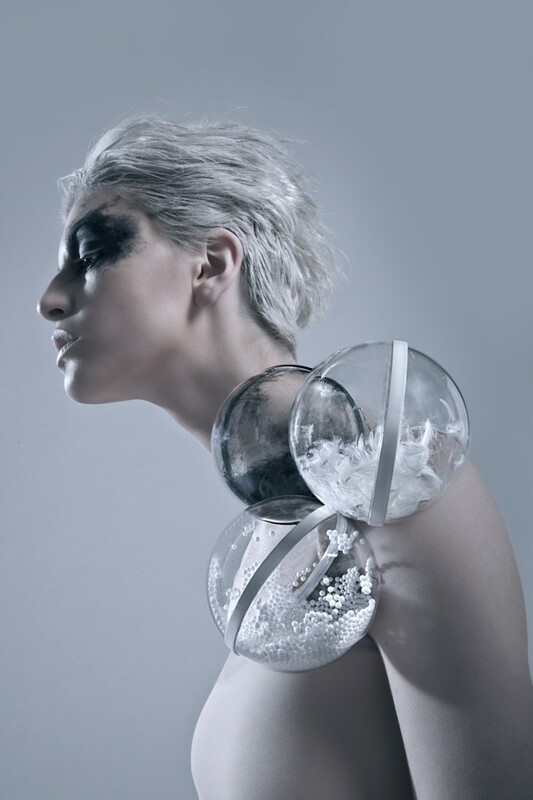 The “Airborne” collection she designed investigates how air influences the form of a wearable object. We are pleased to present you her work on our Young Creatives interviews section. Hi Stéphanie, how are you ? Hello Dennis and Tiffany! I am really great thank you, I hope you are well too! 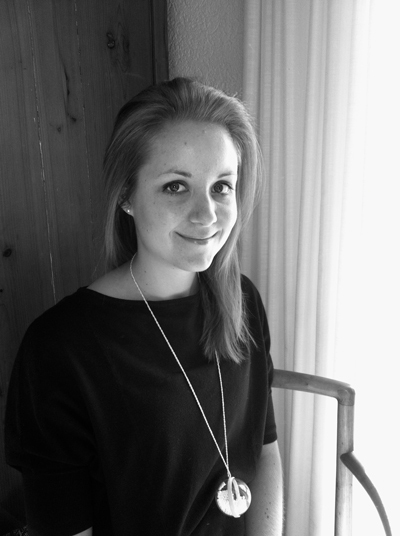 My name is Stéphanie Van Zwam and I am a jewellery designer originally from France and South Africa. I am a traveller and have lived since a very young age with my family on a boat sailing around the world. I graduated from Central Saint Martins in London from a BA in Jewellery Design, and I am currently living in Geneva expanding my horizons and exploring opportunities. How did you develop an interest in Jewellery design ? I really started my interest in the creative field through drawing from a very young age, experimenting with paints, pastels, crayons etc. teaching myself and gaining tips from fellow travelers along the way. This allowed me to develop my love for the creative and imaginative world and led me to try other things. However I only discovered jewellery when in New Zealand at the age of 16. I came across a Murano flame glass beading studio, where I immediately took up lessons, and started making some glass beads which I put together into jewellery for friends and family. This was the starting point to my love for jewellery. I found it to be an endless source of fascination. What excites me the most is to use jewellery as a spectacle that uses the body as a foundation. For me it is the best way to express Art & Design through the medium of the body. Tell us about your graduation collection “Airborne” in CSM. What idea stands behind it ? “Airborne” was inspired by the movement of air, it really started from my roots, my curiosity of the wind through the sails, and if I could translate the air movement into statement pieces to be worn on the body. I combined all the material exploration, and research on air’s influences on various shapes to create a body of performative pieces. I expanded however, through happy discoveries and experiments in the workshop, and incorporated pieces that played on the enclosed air and the use of the static energy. The entire collection is a visual play. It invites the viewer as well as the wearer to discover ever changing shapes of the jewellery pieces. It’s a performance. Some of the pieces envelop the body with ever changing forms that are shaped by wind emanating from both the environment or the wearer’s movements. They give the wearer a sensation of freedom, escape, discovery, and playfulness. The plastic moves with the wind in a continuous and unpredictable dance. With some pieces using the air to create inflated or semi inflated shapes, while others use the air in a more playful flutter of air bubbles. What is your favorite material to work with and why? I love to experiment with different materials depending on the project. It really depends on the collection, as each material has a different language. For the “Airborne” I really experimented with all kinds of materials from cloth, silks and sails, to Low density polyethylene (LDPE) plastic sheets. Plastic bags were amazing to experiment with, they really worked beautifully with the movement of the air, creating a soothing sound and play of light. Plastic sheets turned out to be the most performative material. It is a very lightweight and reactive material, perfectly adapted to interacting with air, and air movements. It is as well translucent and encourages the viewer and wearer to explore it’s light reflecting qualities as well as its beautiful rustling sounds. I used carbon fibre rods as lightweight structures, to support the plastic shapes. I must admit carbon fiber is a really great material. Flexible, yet very strong, it’s a pleasure to work with. Such a beautiful finish. Experimenting with materials leads to endless possibilities! I want to explore as much as possible, and not limit myself to “traditional” jewellery materials. The natural world and elements have always had a strong effect on me, and have been a strong influence in my work. I also love material exploration and this is often a great inspiration and influence! Most importantly what inspires me is the unknown, learning, exploring, and experimenting. Seeing new things, trying new things and traveling with imagination as the limit! Have you any favorite designers or artists? I do not really have a constant favourite, it changes all the time, and at the moment I would say, I quite like Hussein Chalayan’s sense of adventure and willingness to test boundaries. To continue developing projects and collections. To continue discovering the enormous subject that is jewellery. Learning. Creating jewellery that people will be intrigued by. Thank you ligature.ch! Beautiful online magazine! All pictures and designs ©Stéphanie van Zwam. Make-up, styling: Adrianna Veal / Photography: Philip Rhys Matthews.